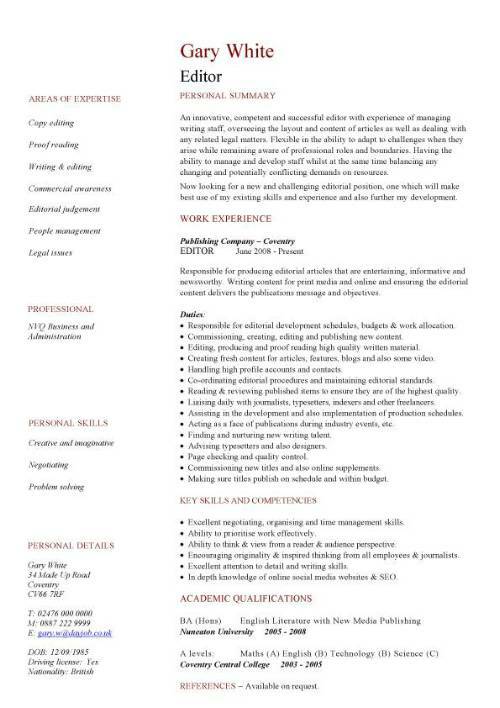 On this page you will find a link to a professionally written editor CV template and also get tips on what points to focus on in your CV. List your ability to review, condense, correct and arrange written material for publication. Give details of your experience of working in newspapers, magazines and publishing houses. Overseeing the layout and appearance of articles. How you verify facts, dates, and statistics using reference sources. How you monitor news gathering by reporters. Knowledge of copyright issues and guidelines. Ability to allocate resources for maximum performance.